A new morning service will operate from Castlecomer at 0830 to Kilcullen where it will connect with Bus Éireann Route 130 for onward travel to Dublin City. The service will operate on Mondays to Fridays and is being provided by Ring-a –Link commencing Tuesday 8 August. Details of the timetables can be obtained from my office. An additional evening departure will operate on Bus Éireann Route 130 (Mondays to Fridays) departing Dublin Busáras at 2230 and extending to Athy via Kilcullen. This service will continue to Castlecomer and other intermediate destinations only if there are intending passengers for these destinations. 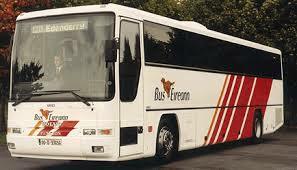 The service will be sub-contracted by Bus Éireann and will also commence on Tuesday 8 August. Details of the times are available from my office. These services will only operate Monday to Friday so will not suit all those who have been affected by the changes and I have raised this issue with the NTA to see if any additions can be made.